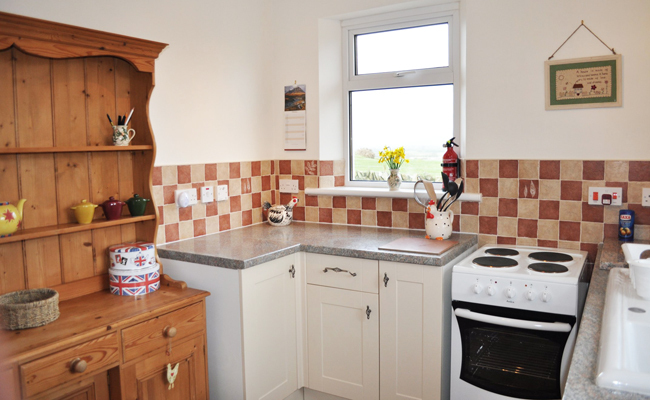 The Kitchen - The well equipped kitchen offers an electric cooker, microwave, large fridge freezer, dishwasher and washing machine and all the small appliances and utensils that may be required. An attractive large dresser offers additional storage space. The Living Room - The large living room has a wood burning stove, comfortable seating including a window seat and a flat screen television/ DVD player. There are also plenty of books, many of local interest, magazines, DVDs, board games and jigsaw puzzles (and a jigsaw mat!). The Conservatory offers a bright dining / relaxation area. There is a table that seats six people. 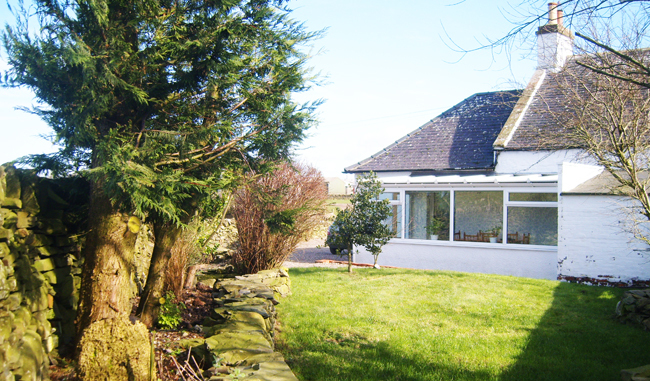 The large windows provide attractive views of the garden and the hills. 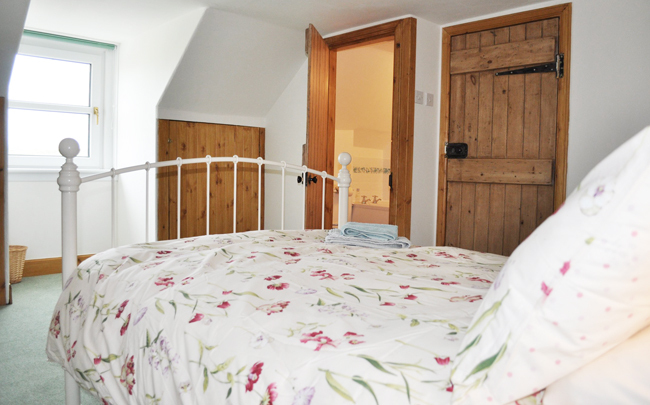 The Master Bedroom upstairs has a double bed (Laura Ashley), an en suite bathroom, and cute storage space resulting from imaginative use of combed ceilings. 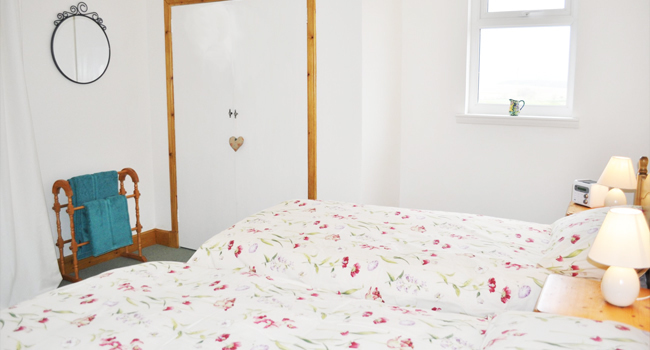 The Twin Bedroom downstairs has two single beds, a large walk in cupboard, and a door that leads to the conservatory - ideal on a sunny summers morning. Luxury duvets and pillows (suitable for allergy sufferers) and bedding are provided for all beds. 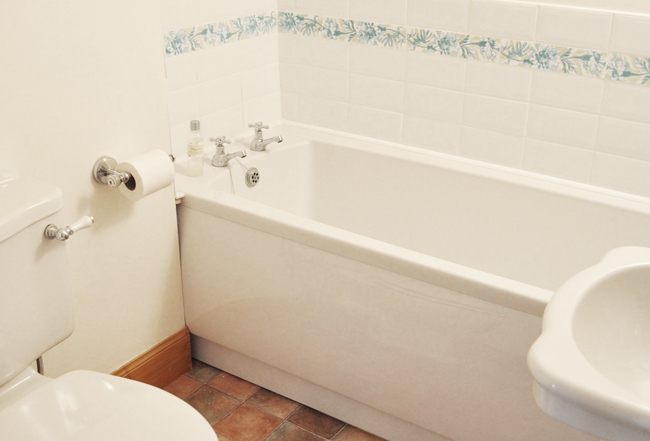 The Main Bathroom has a large cast iron bath with over bath shower. 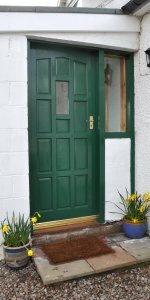 Cults Cottage is double glazed throughout and has electric central heating. The conservatory has a free standing oil filled electric radiator. 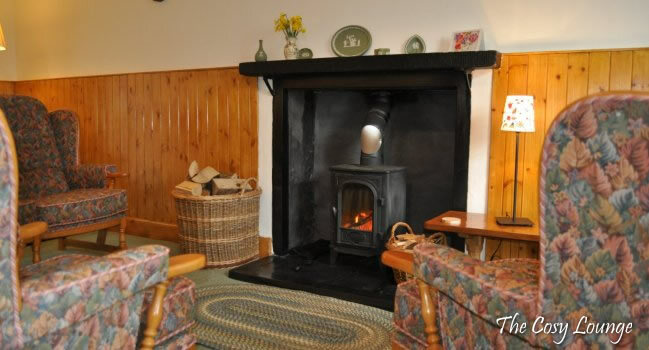 There is also a wood-burning stove in the living room. Weekly tariff includes electricity and first supply of logs. The enclosed garden offers a grassy area to the rear with borders that are being replanted. A herb and salad garden is also being developed - guests will be welcome to help themselves to the produce when in season. There is ample off road parking to the side of the house. A garden seat in the front garden makes the most of the morning sun. Thank you for another delightful stay in your beautiful cottage. We have been so many times now I am starting to lose count. Once again everything was just perfect, everything perfectly catered for.